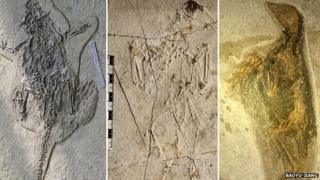 The puzzle of how a 120-million-year-old animal graveyard in China formed seems to have been solved. 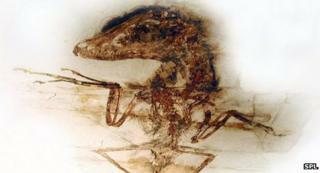 The animals, including the first-known feathered dinosaurs, mammals, birds, fish and insects were found in north-east China and have baffled scientists for ages. But now they think the creatures were killed by volcanic eruptions. The eruptions would have sent a surge of hot gas, ash and rock - known as pyroclastic flow - across the area. It killed the animals in a very similar way to when Mount Vesuvius erupted in 79 AD, which wiped out the Roman city of Pompeii. The fossils are so well preserved that they give scientists a lot of information about the ancient era.